Author: Rabbi Noson Nota Ashkenazi (Hanover), hy"d Description: A classic collection of kabbalistic prayers, including Tikkun Chatzos with a kabbalistic commentary, widely used and revered among the early Chassidim, including the Rebbe and his circle of talmidim. The author was a disciple of the Maharsha, and a great tzaddik and ga'on in his own right, who lived through the horrors of the Cossack uprising in Eastern Europe a generation or two before the birth of the Baal Shem Tov. 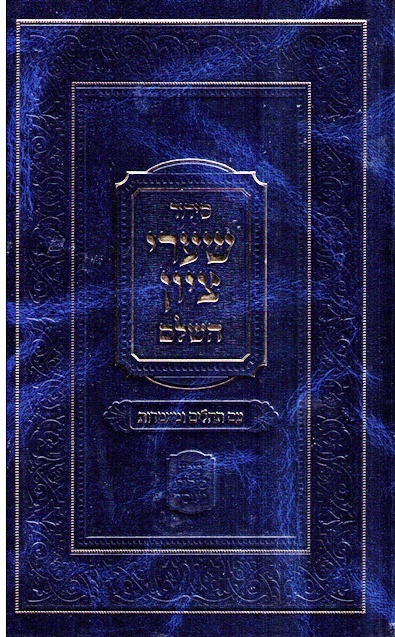 This printing includes a number of additions, such as : a weekday Sidur, Tikkun HaKlalli, Tehillim, Ma'amados, Selichos, etc. Publication Data: Meshekh HaNachal, Jerusalem 2011. 8" x 5", 1030 pp. HB,partly with nekudos.This edition is brand new with an attractive binding.